Hello! 1.13 was released not too long ago, and, as we get busy building our new Village, we can't help but feeling nostalgic and excited to share with you all one of our main home last map! We are now bringing all of you along to our 1.12 Village tour! I now present you the best and largest low-key, friendly and (sometimes) family oriented faction on the server. Yes, Anxiety Support Group is a thing and we have been standing strong for almost two years. I'm the proud leader of 17 amazing and talented players. 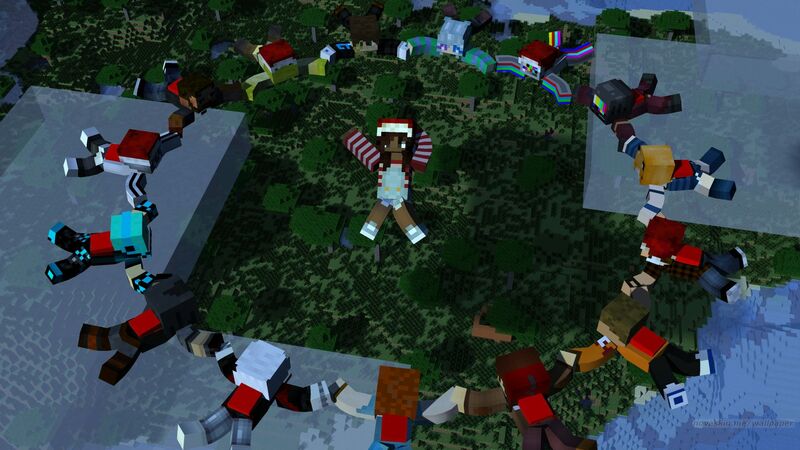 All our members are long term players on the server; A good chunk of us are staff and VIP/MVPs. Together we are family. Our members are: Julipukki, Tweakerzoid, Venetorem, Argail, 1Lysander, Sirchristopher10, Th3GreenGamer, Alarmgv12, Shiba_Ina, RNC, HoomanResources, Jindae, Custard_309, Wblaine, _MasterDragon_, iClutchHD and Bananaqueen1. By the power of the tree we are one. Wow I love that, absolutely fantastic! This is so good! u guys r awesome! Pretty good overall, could use some renovations though. · iwarriiori, SharpSerac, deyahruhd and 1 others like this. @Julipukki In block we trust.